North Korea and China changing the game for the gold market? North Korea is at it again. Last week, the secretive nation moved front and center in the news on reports that the second most powerful man in the country was executed by the most powerful one. With typical vitriol and hyperbole, a state-run newspaper ran a scathing 2,700 word indictment of Jang Song-Thaek, the uncle of current dictator Kim Jong-Un. Jang had been in the inner circle of power for decades, when suddenly the temperamental Kim Jong-Un declared him a traitor, “worse than a dog”, and after a lightning-quick trial, had him executed. Believe it or not: That’s not even the most interesting news out of North Korea! So a mercurial and violent dictator executes his uncle… big deal. What’s an even bigger deal are the reports of “large amounts” of North Korean gold being sold off to China, lending more credence to the idea that there are very serious tensions within North Korea. The reports come from South Korea, so they should be taken with a grain of salt, but if true, there is potentially enough gold involved to affect the gold market. 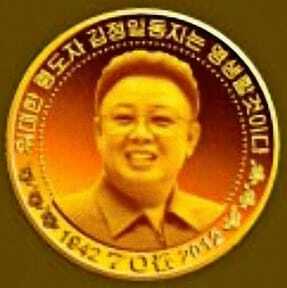 It should be noted that Kim Jong-Un’s revered grandfather, Kim Il-Sung, was adamantly opposed to the idea of North Korea ever selling any of its gold reserves, so that gives these reported sales an even more potentially ominous meaning. Coupled with the execution of Jang, speculation is rampant: Is North Korea is a nation on the brink?? North Korea’s apparent desperation is good news for China and its seemingly insatiable appetite for gold. Chinese firm Shandong Qixing recently announced it is poised to buy Australian Stonewall Assets, which has important gold mining interests in Australia and South Africa. China is fascinated with gold – and not just because the nation likes pretty, shiny statues of Chairman Mao valued at $16 million. China knows that as current supply stands, there is only about 25 grams of gold per person on the planet. That is not nearly enough to “go around”. Fiat currencies around the world are likely to begin falling like dominos. Holding gold is holding onto economic stability in the face of chaos. If it truly is making its gold available, North Korea is giving China (and the rest of the world) a huge Christmas present. China thinks it is a great time to buy gold, and so do we. Call us while the buying opportunities are still good. Gold proving resilient; is this a “major shift” in the market? 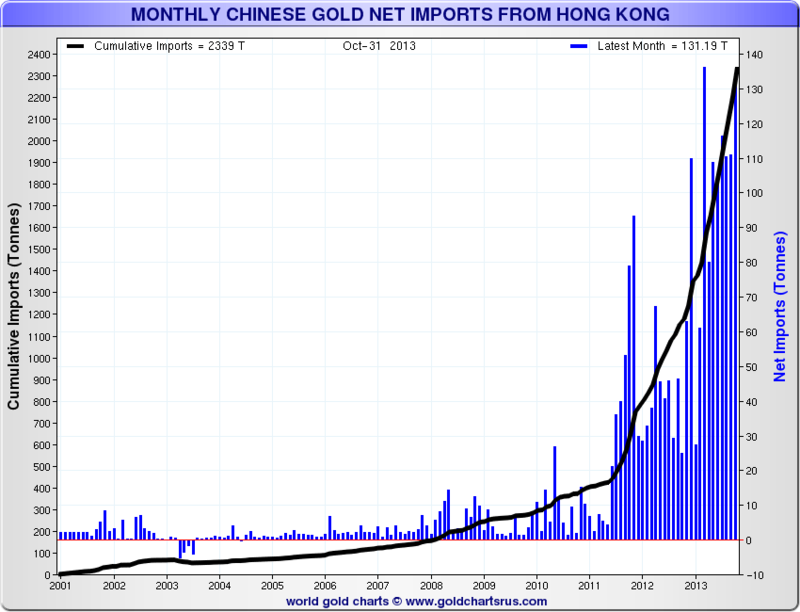 Gold demand in China to match annual gold production – this year! Where will gold head in 2014?